Dr. Theresa Dao-Makiyama was raised in San Jose, California. She completed her studies at the University of the Pacific in San Francisco, where she obtained her DDS degree and was a part-time instructor in Fixed Prosthodontics for five years. She has continued her education at the Pankey Institute in Florida and further her studies with Implant Dentistry Continuums. She received a fellowship in 2005 for the Academy of General Dentistry. In 2007, she also received a fellowship for the International Congress of Oral Implantologists. 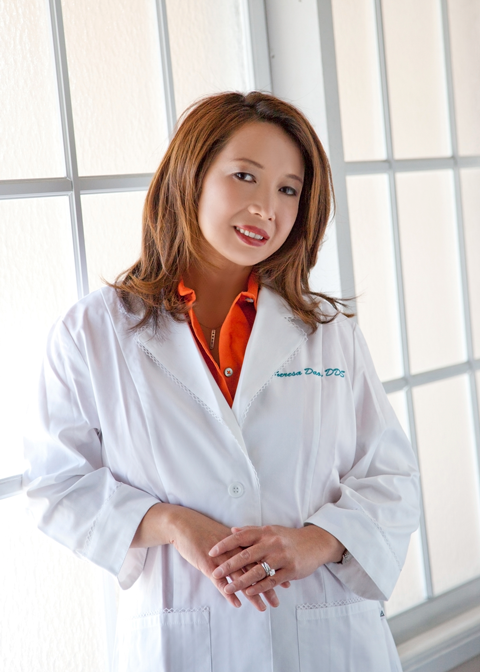 On July, 2011 Dr. Dao-Makiyama received her Mastership through the Academy of General Dentistry (AGD). The AGD was founded by a group of general dentists who believed strongly in continuing education. This award speaks to the organization’s value of excellence in dentistry through continuing education—dentists who have earned Mastership offer their patients cutting-edge care. She completed an additional 600 hours of continuing education after completing her Fellowship. It was far from easy, but it’s worth it to make sure her patients are getting the best possible care. Dr. Dao-Makiyama stays abreast of the latest advances in dentistry with memberships in the American Dental Association, California Dental Association, Santa Clara Dental Society, Academy of General Dentistry and the International Congress of Oral Implantologists. Dr. Dao-Makiyama cares about long-term dental health, and she demonstrates that concern by belonging to the AGD. AGD members are dedicated to continuing education to help them stay up to date on the latest procedures and provide quality treatment. The AGD believes that the general dentist who remains current in general dentistry is better able to offer you and your family a variety of diagnosis and treatment choices.